I am so glad that the OER Factotum at my school, Stacy Zemke, wrote and asked me to participate in her interview series about alternative textbooks! I am not even quite sure how to go about explaining the UnTextbook here in this blog, but answering these questions from Stacy will surely be a good way to start. Meanwhile, you can also see the other faculty she has interviewed here: Alternative Textbooks at the University of Oklahoma. 1. In what areas do you teach and in what course are you using an open textbook? I teach two fully online courses — MLLL-3043 Mythology and Folklore and MLLL-4993 Indian Epics: Ramayana and Mahabharata — which are both part of the General Education: Humanities track. MLLL-3043 Mythology and Folklore: The Myth-Folklore is a survey course, and I've always used public domain texts for teaching the class; I've never had a textbook or any kind of printed book for this course since I began teaching it online in 2002. MLLL-4993 Indian Epics: Ramayana and Mahabharata: In Indian Epics, I am more constrained by the course topic; there are not public domain translations of the Ramayana and the Mahabharata that meet my needs, so in that class I use a combination of inexpensive paperbacks supplemented with open resources. 2. Why did you decide to switch to an open textbook solution for your course? 2. Cover a wide range of texts. I've never seen a commercial textbook that appealed to me as much as the wide range of public domain resources I can find online. 4. Adapt the materials. By adapting public domain materials (abridging, editing, illustrating, etc. ), I can adjust the materials to suit my students' interests and needs. 5. Share what I love. Many of these books are the same books I read and loved as an undergraduate and graduate student. And now I can put them in my students' hands for free: it's magic! 3. What is the open textbook source or sources you are using for your class (ex. a complete single open textbook solution, a modified/customized open book, a set of open resources that you have organized into a “book” resource for your students). What publisher book/s did you replace with the open textbook you adopted? The UnTextbook is definitely a set of open resources that have been organized into a "book" — it is a book in some sense, yes, but also not a book. For one thing, it is paperless. No one, not even me, would ever print it out. In fact, I did not print a single piece of paper in the process of creating it. Before I try to explain more about the UnTextbook here, I'd urge you just to go take a look for yourself first: Mythology and Folklore UnTextbook. 4. What was your process for selecting/creating this open book? 5. 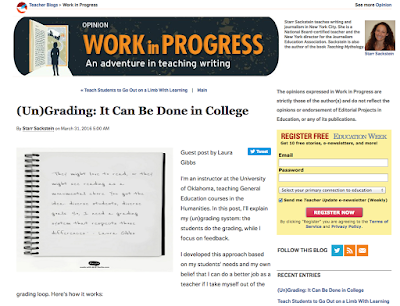 What are/were the challenges in changing to the open textbook – is it similar to adopting a new “traditional’ textbook for a course – or are there other issues? 6. How have your students responded to this open textbook? The response has been very positive! I'm gathering feedback from the students every week with a Google Form and writing up the result in a weekly blog post. You can see those reports here: Weekly UnTextbook Reports. 7. Will you continue to use this current open solution? Absolutely! There is still lots of work to do in terms of annotating the reading units to make them more valuable for the students, and there are also more units that I want to add. As I mentioned, one of the biggest drawbacks to my old website was that it was very hard to update. This blog-based solution is extremely easy to update, and I could add another 50 or even 100 reading units without running into organizational difficulties. For example, I already know that I need to add a unit on Vergil's Aeneid because one student was very disappointed that there was no Trojan Horse in Homer's Iliad (as I learned from a comment shared via the Google Form mentioned above). 8. Would you consider using an open source for other courses that you teach? Yes! In fact, I've made one of the books in my Indian Epics class optional so that students can choose to replace that book with India-related content from the Myth-Folklore UnTextbook. I am really curious how many students in that class will choose the UnTextbook option; I'll find out in Week 12 of this semester! One of the reasons I made the India section of the UnTextbook class larger than the other sections was because I anticipated being able to use those Indian reading units for my Indian Epics class. 9. What advice do you have for other faculty thinking of adoption an alternative textbook? I would urge everyone to keep up with available open resources in their field, regardless of whether they are considering an open textbook option. For me, blogs and bookmarking tools (like Diigo) have been a really good way to share resources with my students, and their use of those resources thus allows me to gauge what content they find most valuable. I would also urge everyone to gather feedback from their students at each stage of the process. I gathered a lot of preliminary feedback from students last year before I built the UnTextbook, and I'm also getting extremely useful feedback from the students now as I deploy the UnTextbook for the first time. Finally, I would urge everyone to find an online learning network where they can learn from what others are doing with open resources and in general with their teaching. I'm a member of a very active online learning community at Google+ where I'm constantly exposed to new ideas and new resources that I never would have discovered on my own. 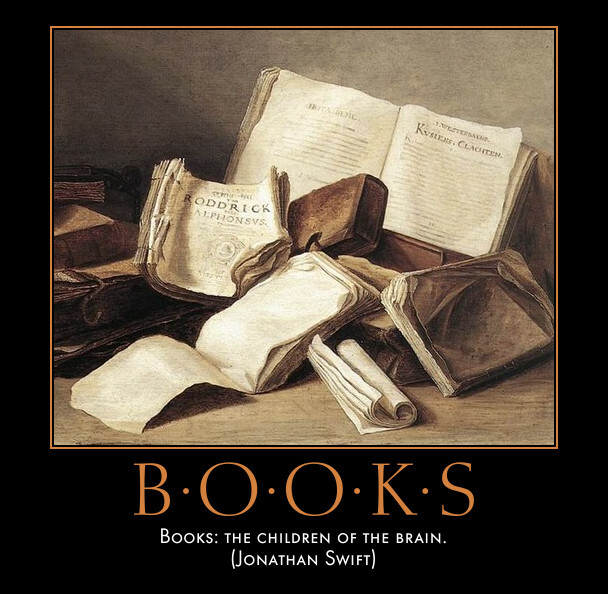 Books: the children of the brain. One challenge for faculty or adjunct instructors using these resources is that publishers provide ancillary materials for student assessment, like workbook exercises or questions for a question bank that can be used for student assessment; where as an OER faculty member may have to create questions on their own. In an effort to address the need for supplementary assessment questions, Ohio State has organized a pilot ‘Content Camp’ exercise where faculty from across Big 10 institutions gather to organize categories for assessment and create large numbers of questions within those categories. In the first pilot, cohorts of faculty created 200 questions that were peer reviewed, critiqued, and then submitted for inclusion in the question bank for a specific course. For more information about OSU Affordable Learning Exchange programs, visit https://affordablelearning.osu.edu/ .